GST, a revolutionary tax reform rolled out on the 1st of July 2017, has effectively replaced the previous Gordian Knot of multiple taxes like VAT, central excise duty, commercial tax, service tax, octroi, etc. 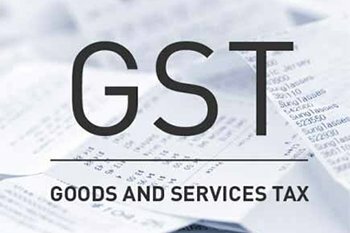 The Goods and Services Tax (GST), a revolutionary tax reform rolled out on the 1st of July 2017, has effectively replaced the previous Gordian Knot of multiple taxes like VAT, central excise duty, commercial tax, service tax, octroi, etc. It has made India a 'tax-neutral' nation - and while it evoked a response best described as 'mixed' from real estate buyers, most of them are in favour of it. This is natural, as the unitary tax compliance system has simplified the home buying process - and with the passage of Input Tax Credit (ITC), there may not be a significant additional burden to buying a home. Homebuyers in the affordable housing segment - specifically homes of up to 60 sq.m carpet area in size - have benefited significantly from the reduction of GST by 4% (from 12% to 8%). However, even almost a year after GST implementation, the only real clarity that exists for property buyers is on the prevailing GST rate of 12% on under-construction projects. There is still confusion about the amount of rebate that a prospective homebuyer is entitled to on the back of the pass-over of ITC. The confusion is not only about the percentage of ITC but also on the mode and tranche of the rebate. On their part, developers are stating that they have to do multiple calculations to arrive at ITC and will pass it on only during the final tranches only. With this lack of transparency on ITC, homebuyers are understandably upset because as of now, their overall payment has increased. On the one hand, ready-to-move (RTM) properties which have been issued completion certificates are out of the GST ambit and attract no tax from homebuyers. On the other hand, under-construction (UC) properties attract 12% GST with full input tax credit (ITC). This is causing homebuyers to abstain from the UC option, which was earlier the more attractive one due to the cost arbitrage developers offered on them. The added benefits to ready-to-move-in property buyers are immediate possession - read instant gratification - and freedom from stress with regards to completion risk and the uncertainty of construction-linked home loan EMIs. The lack of clarity on the rules and regulations under the anti-profiteering clause which was incorporated to pass on the benefits of ITC to end-users is a particularly prominent pain-point with GST as of now. Although it was anticipated that GST will reduce property prices pan-India, we have in fact not seen such a significant impact on the ground. If the stamp duty and registration fees would be subsumed under the GST regime, we would definitely see the overall cost of property purchase come down. GST definitely is reducing developers' construction costs by negating the morass of double or triple taxation to a more moderate level through input tax credit. While there are no significant variations in the overall taxes, GST has certainly eliminated the tax-on-tax system. Also, shady transactions are being minimised considerably, bringing in transparency and accountability into the sector. However, end-users have not received a consummate benefit because of the inherent ineffectiveness of the anti-profiteering provisions. They will only benefit if the base property prices are reduced and the developers pass on the tax credits to their customers. While the tax-on-tax has been eliminated with the advent of GST, the overall outgo from homebuyers’ pockets seems to have increased, considering that even after passing on of ITC, they may have to pay 3-4% more than in the earlier service tax + VAT regime. However, shady transactions are definitely reducing to a considerable extent and the cause of bringing more transparency and accountability into the sector is served. Additionally, the input tax credit is a boon to developers as it aids in bringing down the construction cost. In line with its 'One Nation, One Market, One Tax' philosophy, the GST reform will in all probability benefit the Indian economy in the long run. As the realty sector becomes more streamlined on the back of GST and other landmark reforms such as RERA, investor and consumer sentiments will become more positive and further strengthen the entire system in the future.